What I Blog About When I Blog About Books: 1st Day of Christmas: China Glaze "Twinkle Lights"
1st Day of Christmas: China Glaze "Twinkle Lights"
Today is the first day in my new series, 25 Days of Christmas Manicures, and I have for you a simple single-polish manicure, and my all-time favorite Holiday polish, China Glaze "Twinkle Lights." This polish is THE BEST Holiday polish. It's a full-glitter polish that exudes holiday spirit. Whenever I wear this polish, I always get compliments without fail. "Twinkle Lights," as I mentioned earlier, is a full-glitter polish. 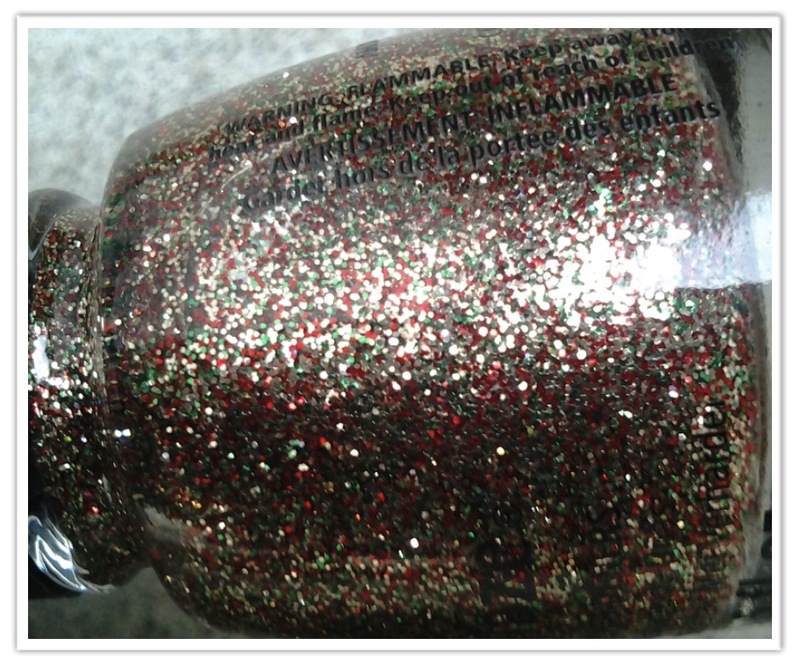 It has small gold, green, and red glitters equaling in both size and quantity. 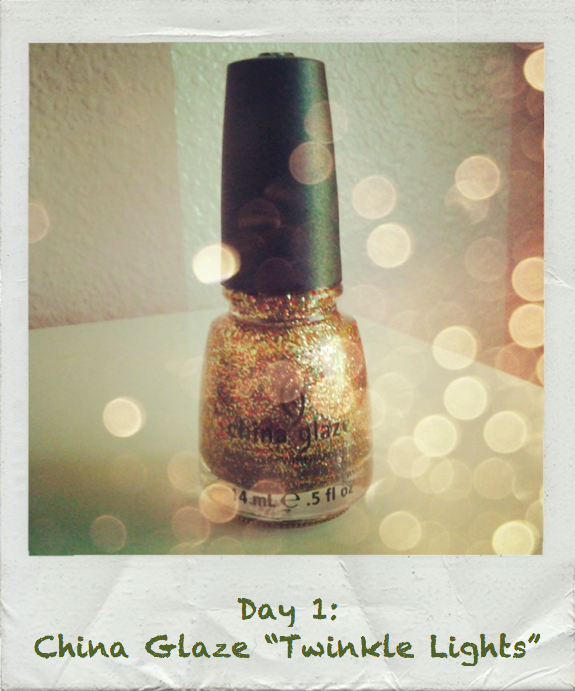 The formula of this polish is unfortunately like a lot of China Glaze glitters, not amazing. At first, the polish was able to apply smoothly. I was even able to layer it over different polishes. However, after a short period of use, it began to get goop-y and harder to work with. Within two months of getting "Twinkle Lights," I already managed to use up half of it, and ran out to get a second bottle. That bottle, luckily, remains unopened, so it's formula still looks decent. You will probably see this polish again in some later 25 Days of Christmas manicure, layered over some red or gold polish. "Twinkle Lights" reflects light extremely well, and shines amazingly. I think my favorite thing about this glitter is how the glitters are equal in size and color distribution. I took a lot more photos than usual trying to capture this color. Sadly, this polish is no longer sold in stores or on Transdesign, but if you can somehow still get your hands on it, I would definitely recommend it! It's extremely festive and is my favorite Holiday polish! :) yay. the festive glitter posts begin!